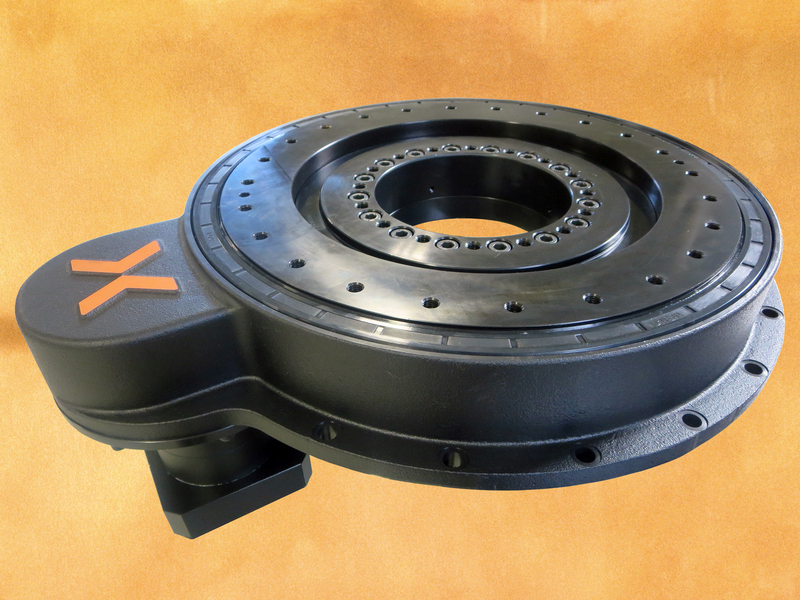 Nexen Group recently introduced the Compact Ring Drive (CRD) system with precision-grade bearing and drive mechanism in a sealed housing. Freely programmable, the three-drive design configurations allow the CRD to be optimised for high speed, high torque or both, depending on the application. With a 250 or 350mm dial plate bolt circle diameter and a large open centre, users can optimise performance in a small space. The combination of Nexen’s roller pinion technology with integrated bearing and motor/gearhead deliver a rigid, smooth system with zero backlash options from the motor through the driven load. The CRD is ideal for applications including cutting systems, gantry systems, medical products, robotics, aerospace, machine tool, semiconductor and material handling. Benefits of Nexen’s compact precision ring drive system include indexing precision up to ±30 ArcSec and repeatability up to ±5.1 ArcSec. Zero backlash options are available. The CRD system is smooth in motion. It has a high output load capacity of up to 108kN, and can handle speeds of up to 225rpm.